This week sees some changes go into Deadman Mode, as well as a host of Quality of Life improvements, including improved Karambwan fishing and a new POH display case! The Skull, PJ, Logout and Teleport timers within Deadman Mode have now been reworked. When you initially Skull, you will now receive a 15 minute Skull timer. From this, re-skulling will result in 2 minutes being added to the remaining time with a maximum time of 15 minutes. 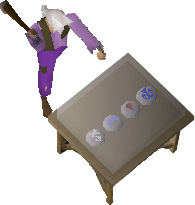 For example, if you were skulled with 11 minutes remaining and attacked an unskulled player, your timer would increase to 13 minutes. However, should you choose to attack someone over 30 combat levels lower than yourself, your timer will be set to 30 minutes. We feel this is necessary as, with the increased incentive to go on rampages, we still want to ensure fights remain somewhat fair. On top of reworking the Skull timer, the PJ timer has been tweaked to give players more opportunities to escape teams. Previously, as long as a player was attacking another player, they couldn't be attacked. Following today's update, the length of the standard PJ timer remains the same, however you must be under attack in order to be protected by it. In order to improve solo players chances against clans, we've also shortened the Teleport and Logout timers to 7 seconds. This means that, should you force a break in combat, you'll have 3 seconds in which to escape via Teleport or Logout. To reduce the likelihood of low level accounts being used to PJ , we've also made it take much longer for a player who is a far lower level than you to be able to jump in on a fight. With only one week left of the Deadman Season, you've not got long to qualify for the next Deadman Invitational. Be sure to jump on and train up to secure your chance of winning $10,000! When fishing for Karambwan, you can now fill multiple empty vessels without having to keep clicking to do so. 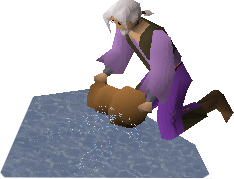 When your vessel becomes empty, you will automatically refill it as long as you have raw karambwanji, so that you can continue fishing uninterrupted. You can now build a runecrafting display case containing law, death, soul and blood runes in your Player Owned House. To do so requires 90 Runecrafting as well as 41 Construction. This week we have a new member here on the Old School team - Mod Merchant! He is joining the team as a community manager, there to ensure that we are hearing everything you're saying. Be sure to tune in for the Old School Q&A at 5pm BST over on the RuneScape channel where we will be introducing Mod Merchant live. Question : Why are jellies only assignable from Vannaka and Chaeldar? Could we introduce a warped jellie task for higher slayer masters such as Nieve/Duradel? This way the Warped jellies will be good for people with high slayer. Hutchens so quick to post! Not really a fan of DMM these days, so these changes won't impact my gameplay whatsoever. Can I please have a summary on any plans to revisit the hard karamja diary reward that allows players to sell items for 1.75x of low alch value (in Tai Bwo Wannai general store), to instead be an elite karamja diary reward? I recall this being considered on a Q&A earlier this year. Achieved 2277 total on August 5th 2014.